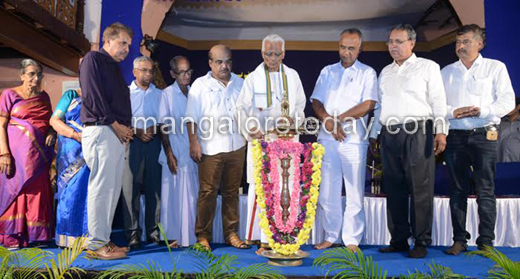 Mangaluru Aug 31, 2016: Eminent writer Erya Laxminarayana Alva inaugurated Centenary celebration programme of Agrala Purandara Rai at University College August 30, Wednesday. 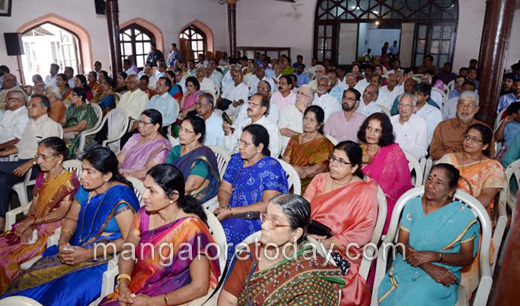 Programme was jointly organized by Dakshina Kannada Working Journalist Union and Family of Agrala Purandara Rai. 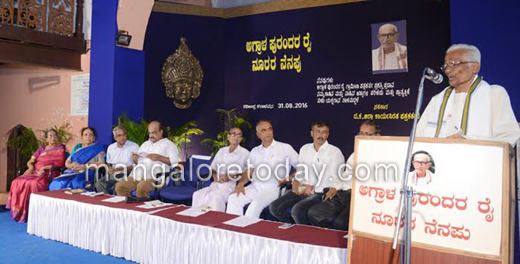 Addressing the gathering Erya Laxminarayana Alva said that, Purandar Rai was more concerned about the miserable days in the society. 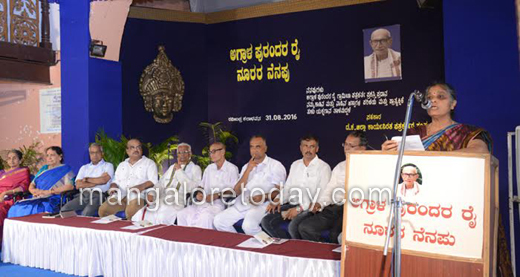 He was known for close bonding with ace writer Shivaram Karanth. During his initial days Rai had to migrate from one place to other from which he able to learn values of life. Agrala Purandar Rai has shown how to live a sophisticated life, through his life styles, he added. 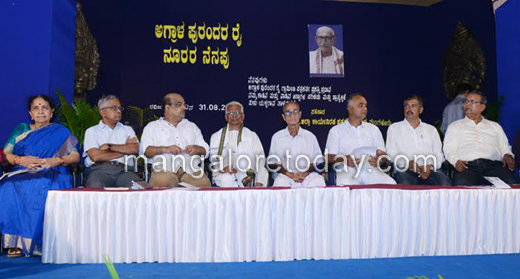 Writer Mahabaleshwar Bhat recalled the days of Purandar Rai with Shivaram Karanth, as Karanth was unaware about Tulu culture and tradition for which Purandar Rai helped Karanth to know about Tulu Culture and tradition. 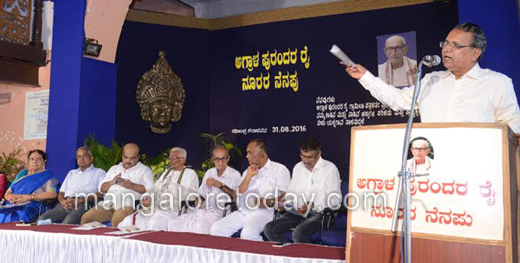 Senior Journalist GN Mohan said that, Rai was known for his questioning skills where the present generation should be inspired off. 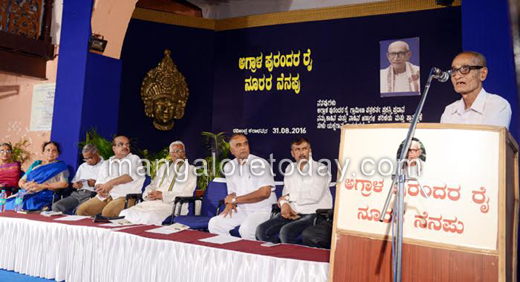 Meanwhile Journalist Gopal Krishna Kuntini of Vijaya Karnataka was conferred with Agrala Purandara Rai award for rural reporting. Speaking on the occasion he said about the challenges faced during rural reporting. 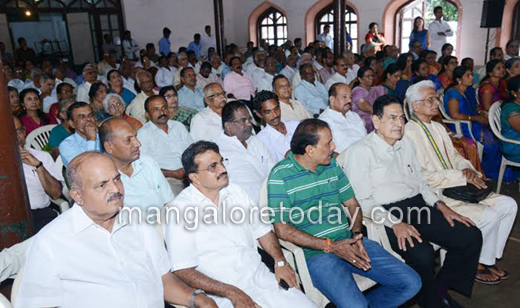 DKWJU President Jagannath Shetty Bala, Son of Purandar Rai Prof Vivek Rai, Ullas Rai and others were present.